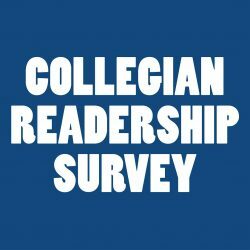 After winning the first two games in conference play, the Fresno State women’s basketball team was looking for its third win in a row against the Utah State University Aggies at home. The Bulldogs made a second-half comeback to defeat the Aggies, 70-59 and get their 10th win of the season. The Bulldogs started the game fast, taking the lead quickly against an Aggies team that seemed to not be ready for the game to start. Utah State answered with a three-pointer, but the ‘Dogs would keep up the pressure to retake the lead. With the Bulldogs offense scoring several three-pointers from Kristina Cavey and Genna Ogier, the ‘Dogs took a commanding lead just before the end of the first period. However, the Aggies cut that lead and finished the period 17-14. The second period started with the Bulldogs missing several shots, which in turn allowed the Aggies to mount a comeback. The Aggies would take that momentum and take the lead from the ‘Dogs. Utah State took advantage of three-point shots that the Bulldogs had a hard time defending, adding to their lead. The Bulldogs would eventually try and make a comeback, but with momentum on their side, the Aggies wouldn’t let go of the lead. 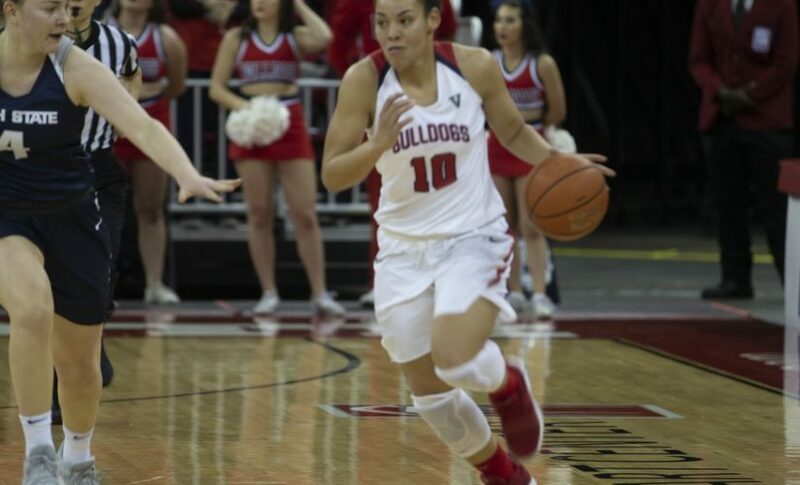 The half ended with the ‘Dogs trailing the Aggies by three points, with a lackluster performance by their key player Candice White, who only had four points and one assist in the half. During halftime, the spectators at the Save Mart Center were treated to the last minutes of the men’s game, which traveled to Logan, Utah to face the Aggies men’s team. The crowd cheered as they saw how the Bulldogs scored a three-pointer to take the lead and win the game, 78-77. For the second half of the game, the Bulldogs came out with a more aggressive attitude, which led to them quickly tying the game. The Bulldogs continued their pressure on the Aggies, who had lost all the momentum they carried in the first half and the ‘Dogs regained the lead. White finally made her presence felt, scoring from the free-throw line and setting up plays for her teammates. The third quarter ended with the Bulldogs taking a big lead of 50-43 and taking all the momentum from the Aggies. In the fourth quarter, the Aggies seemed to have lost any motivation that they had in the first half. Utah State had a difficult time trying to figure out how to get through the Bulldogs’ defense and how to stop the Bulldogs’ offense. The Bulldogs took their biggest lead of the game at 13 points, which they kept for the remainder of the game. 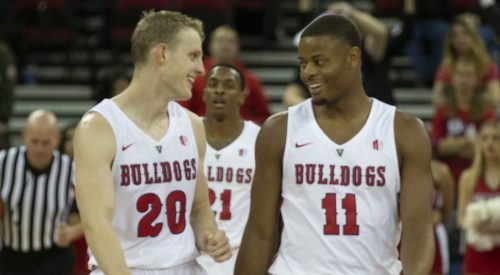 Fresno State finished the game completely dominating the Aggies. The Bulldogs’ best performers of the night were Maddi Utti, who finished the game with eight points, three assists and seven rebounds, while Ogier had nine points, two assists and two total rebounds. After a four-point first half, White finished the game with 26, two assists and 10 rebounds. Head coach Jaime White also commented about the difference between the first half and the second half.